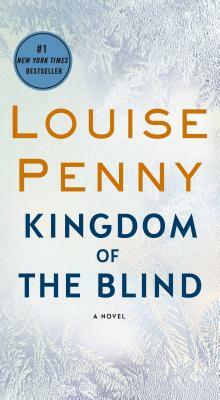 Blockbuster bestselling author Louise Penny keeps readers eyes’ glued to the page her latest “intriguing…and satisfying” (Publishers Weekly) novel about everyday life and ever-curious death in the village of Three Pines. Why would a complete stranger name Detective Chief Armand Gamache one of the executors of her will? The will is so bizarre and includes such wildly unlikely bequests that Gamache suspects the woman was downright delusional. But what if, Gamache begins to ask himself, she was perfectly sane? When a dead body turns up in town, the terms of the will suddenly seem far more menacing. Meanwhile, the investigation into the events that led to Gamache’s suspension keeps deepening. Most of the opioids Gamache let slip though his hands—in order to bring down the big-city cartels—have been retrieved, but there is one devastating exception. Soon, he enters a race against time to locate the deadly missing drug. As he uses increasingly audacious, even desperate, measures to retrieve it, Gamache begins to see his own blind spots…and the terrible truth that may be hiding in plain sight.